The NFL is attempting to shoot down rumors that Jay Z turned the league down as a potential Super Bowl halftime performer. "No decisions have been made on the performer(s) and we are not going to speculate on particular artists," the NFL said in a statement on Wednesday. "Along with Pepsi, we know that we will put on a spectacular show. When it is time to announce her name we will do it. Or his name. Or their names." The Source magazine's website first reported on Tuesday that the rapper declined the offer, reportedly because of reaction to former San Francisco 49ers quarterback Colin Kaepernick's national anthem protests last season. Kaepernick, who kneeled during the national anthem last season to raise awareness for social injustices, opted out of his contract following the season to become a free agent and remains unsigned three weeks into the NFL season. The 29-year-old's unemployment has sparked debate over whether he is being blackballed by NFL team owners for his decision. 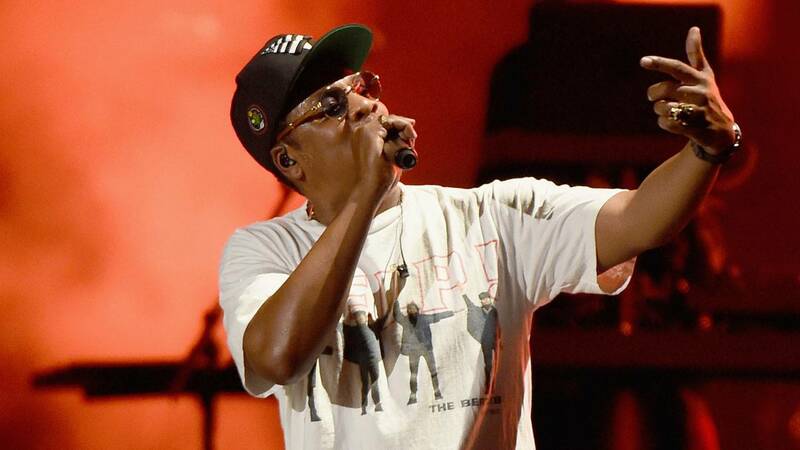 Jay Z gave Kaepernick an onstage shout out at New York City's Meadows Music and Arts Festival on Sept. 15, dedicating the song "The Story of O.J." to the quarterback. The NFL is likely seeking a big star to equal or surpass the performance given by Lady Gaga at Super Bowl LI. That performance, when counting viewers across all platforms, is the "most-watched musical event of all time," according to the NFL. Jay Z's wife, you may know her as Beyonce, has performed during the Super Bowl halftime show twice in recent years, doing so by herself (with a brief Destiny's Child reunion) in 2013 and joining Coldplay and Bruno Mars in 2016. This year's game, Super Bowl LII, will be played Feb. 4 at U.S. Bank Stadium in Minneapolis. Despite its statement, the NFL has given no indication as to when the actual halftime performer will be announced.